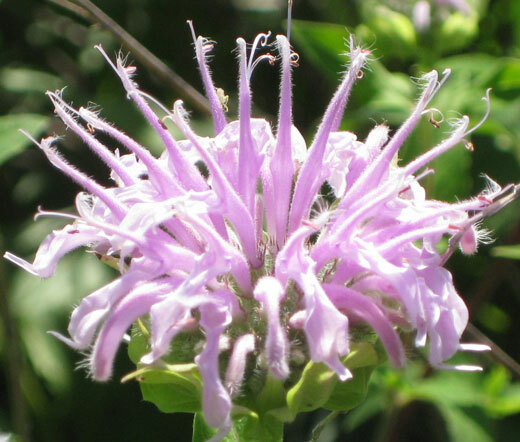 Wild Bergamot Bee Balm Monarda Fistulosa is a perennial herb that belongs to the mint family. 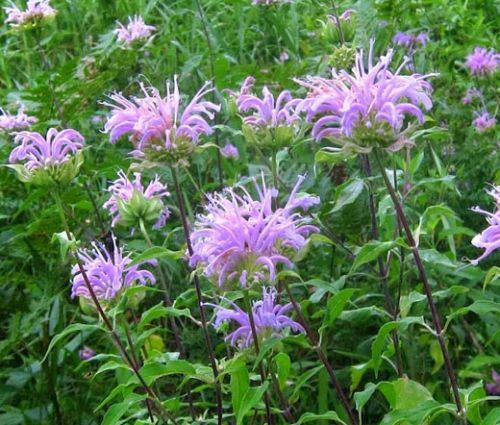 Bee Balm bulk seeds is an economical way to grow Wild Bergamot in large naturalized areas or meadows. The seeds can be started directly outdoors. Wild Bergamot is a clump-forming plant that grows typically to 2-4 foot tall and produces lavender, two-lipped, tubular flowers appear in dense, globular, solitary, terminal heads atop fragrant foliage with square stems. Bergamot has a long, summer bloom period, and its charming lavender flowers along with distinctively aromatic foliage attract butterflies, bees and hummingbirds. Wild Bergamot Bee Balm is a showy perennial flowers that is perfect for growing in the herb gardens, wild gardens, native plant gardens, meadows or naturalized areas. Monarda Fistulosa bulk seeds cannot not be planted deep, and they must be covered thinly - no more than the thickness of the seed. Bee Balm prefers full or partial sun, and moist to slightly dry soil conditions. Wild Bergamot is known for its historical medicinal applications and can be used as tea infusions for headaches, indigestion and colds and flu. The toothed, aromatic, oblong, grayish-green leaves of Bergamot may be used in teas, and the characteristic aroma of Bergamot can be found in Earl Grey tea.